Jura whisky is quite unique and totally different to its neighbours on Islay. This 10 year old is the distillery's core expression and has the characteristic briney, pine, cereal and fudge flavours. The overall impression is of an easy to drink, approachable and soft whisky. Quite the opposite of some of the more challenging whiskies from Islay. Nose Malted grains, fresh bread, white grapes, apricots, sea spray and a hint of pine. Palate More body and viscosity than expected from a 10 year old single malt- I had to check I opened the correct bottle! The taste is smooth and harmonious with crème caramel, pears in syrup, caramel toffee, maple syrup and some oaky, vanilla flavours. Finish The finish is honeyed and spicy with some pepper and liquorice flavours coming through. This will appeal to a lot of Irish whiskey drinkers! Colour Bright gold/pale bronze in colour. Types of Barrel used for Aging 100% ex-Bourbon casks. Prophecy is Jura's peatier and older expression. Here some rare old casks have been selected that.. Very nicely balanced and with far more complexity than the 10 year-old. This has lots of vanilla, gi..
Elixir means magical and/or medicinal, and if you ask us this expression has been correctl.. 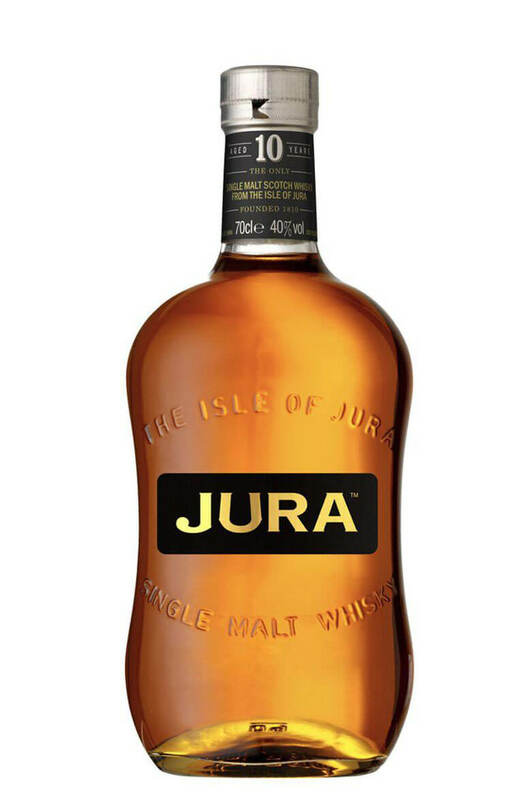 Initially matured in ex-Bourbon casks then finished in vintage 1963 Oloroso Sherry casks, the Jura 2.. Originally released for travel retail, the Jura 18 Year Old was initially matured in ex-Bourbon cask..